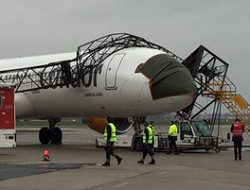 The aircraft received major damage when it hits a light tower whilst under tow at night. 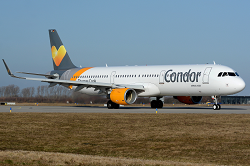 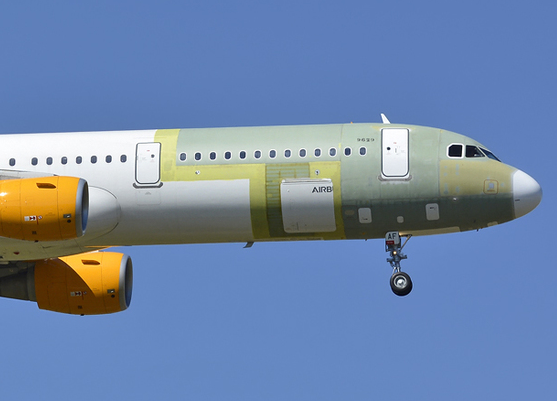 The empty Airbus A321 was being repositioned to the maintenance ramp by a towing truck. 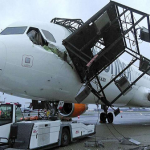 In darkness and light rain, but adequate visibility, the right wing collided with light tower. 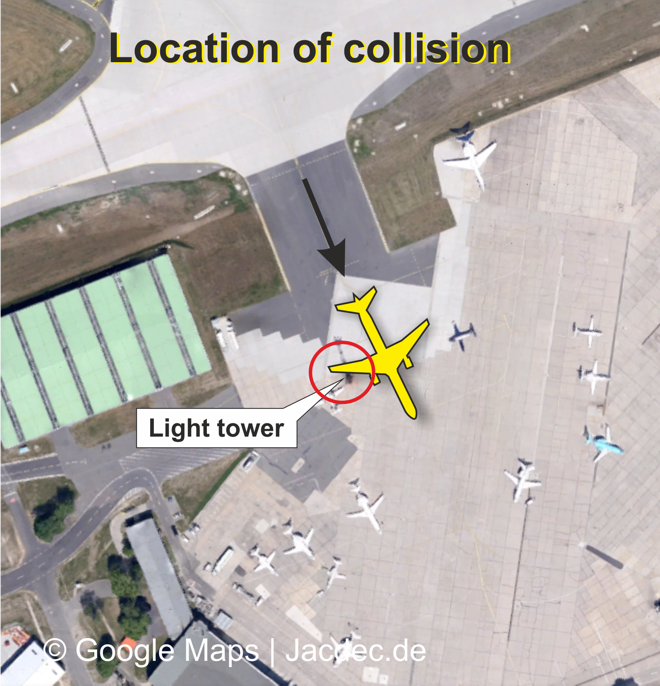 The eight-ton metal tower lost its stability and tumbled over the foreward fuselage. 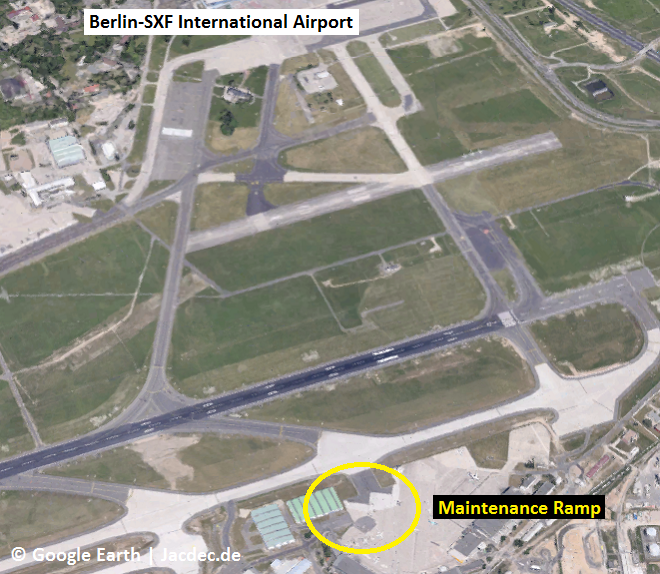 A ground technician received minor injuries. 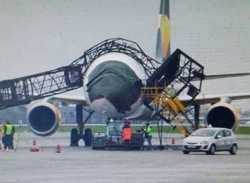 According to undisclosed sources, the extent of structural damage to the foreward fuselage, may have exceeded the residual value of the aircraft.